It would seem that green is 2017’s in vogue hue, an observation further heightened by Pantone’s choice of ‘Greenery’ as its ‘Color of the Year’. By choosing Greenery, the Pantone Color Institute was in many ways acknowledging the times in which people are living. 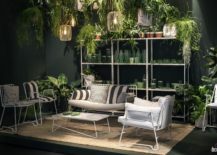 Overwhelmed with the rigours of modern-day life, individuals perhaps crave a reconnection with nature: this shift is reflected in the growth of green (as a colour choice and environmental concern), found across architecture, design and lifestyle. 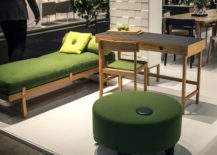 Many designers are reflecting the green trend in their various product collections. 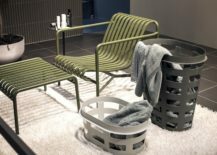 Green can be seen in recent collections by Scandinavian brand’s A2 and Hay. 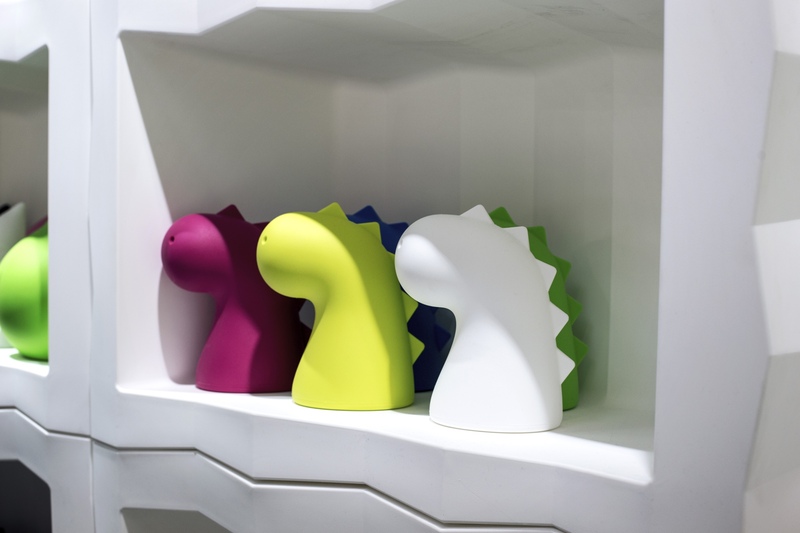 A2 is a home-grown Swedish furniture and interior brand. 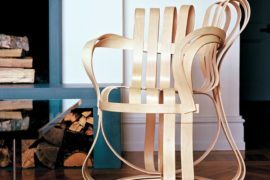 Established in 2008 by designer and engineer Sara Larsson—in collaboration with her sister, architect Anna Larsson—A2 designs and makes everything in Småland, Sweden. 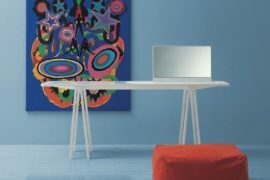 Designed with contemporary living in mind, the brand’s collection comprises a range of well-crafted, functional objects. 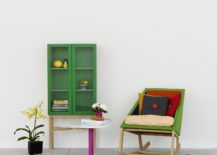 Across the collection, pops of bright colours accent various appealing pieces. 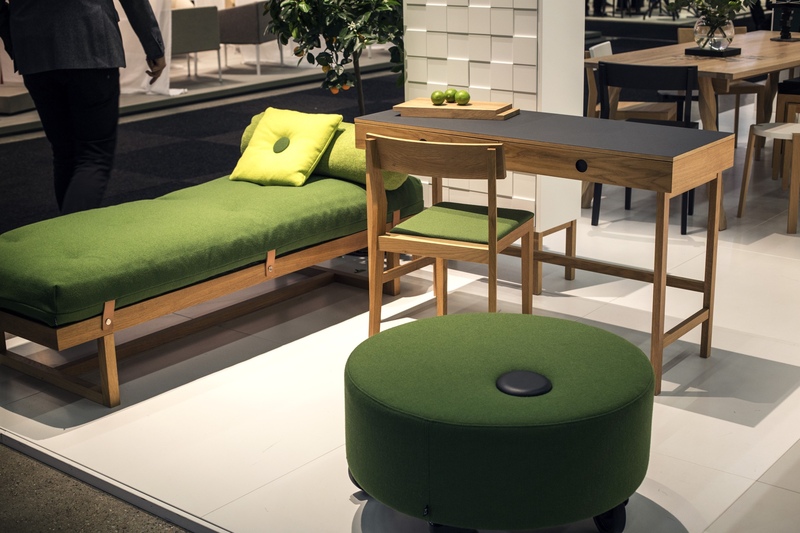 (1) A2’s Stay bench and daybed, Dot pouf and Hello chair with a green upholstered seat. 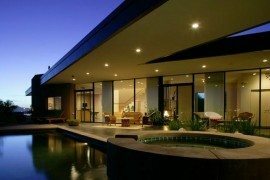 Image © Decoist. 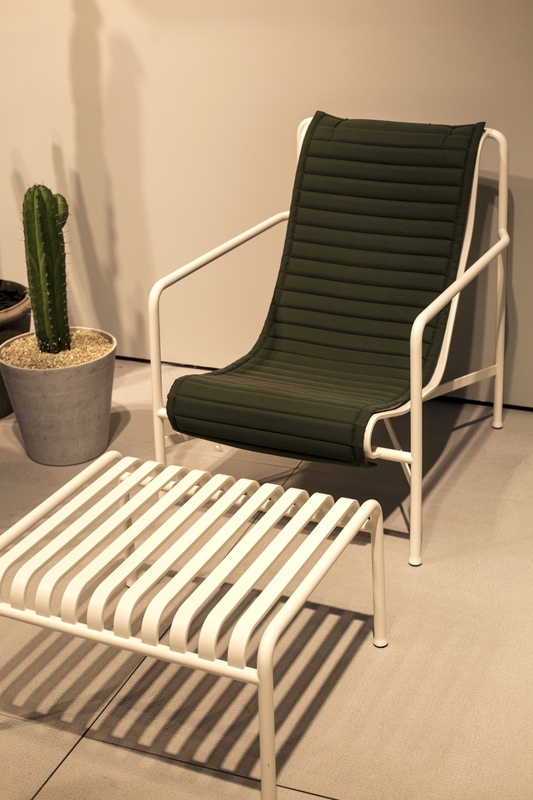 Palissade is a striking and elegant outdoor furniture collection designed by Ronan and Erwan Bouroullec for Hay. 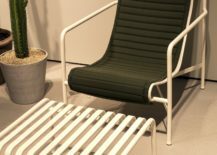 (2) The Palissade high lounge chair is pictured with an olive-coloured quilted cushion. Image © Decoist. 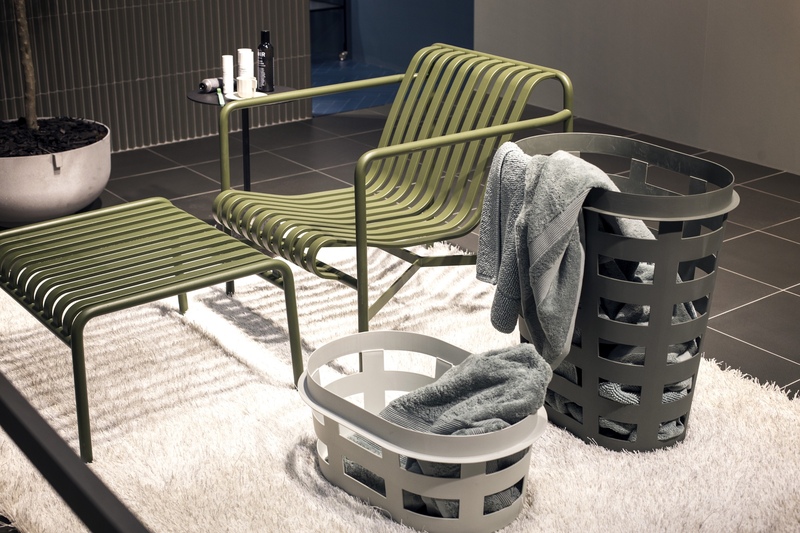 The Palissade low lounge chair and ottoman in olive green. Image © Decoist. 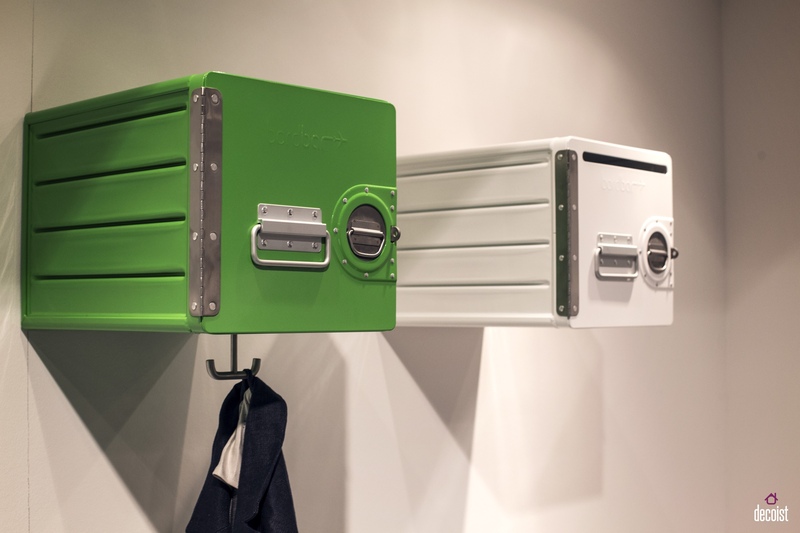 Accessories are an excellent way in which to introduce a green theme across the home. (3) A2 Squares. 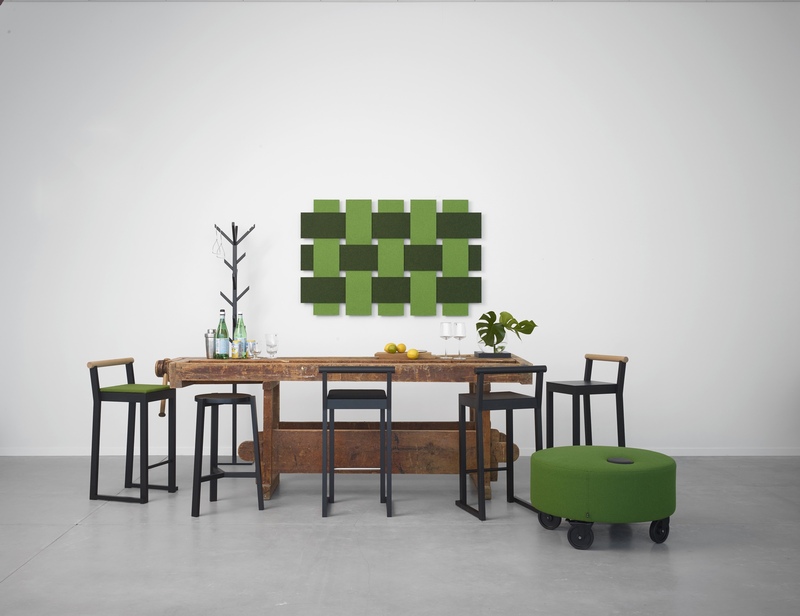 These panels act as sound absorbers, as well as providing a decorative interior element. Image © A2 designers AB. Plust Collection is a sub-brand of Euro3plast (a company making modern plastic pots since 1974). 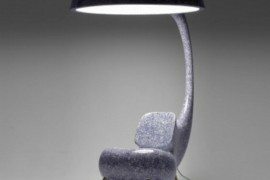 At Plust Collection, one will find a range of rather quirky indoor and outdoor furnishings, accessories and lights, including Draghetto. (4) Draghetto is a toy inspired by an iconic, fictional character (likely Godzilla). Image courtesy of Plust Collection. Draghetto in acid green (centre). Image © Decoist. Add green ceramics to the bathroom and a green toothbrush. 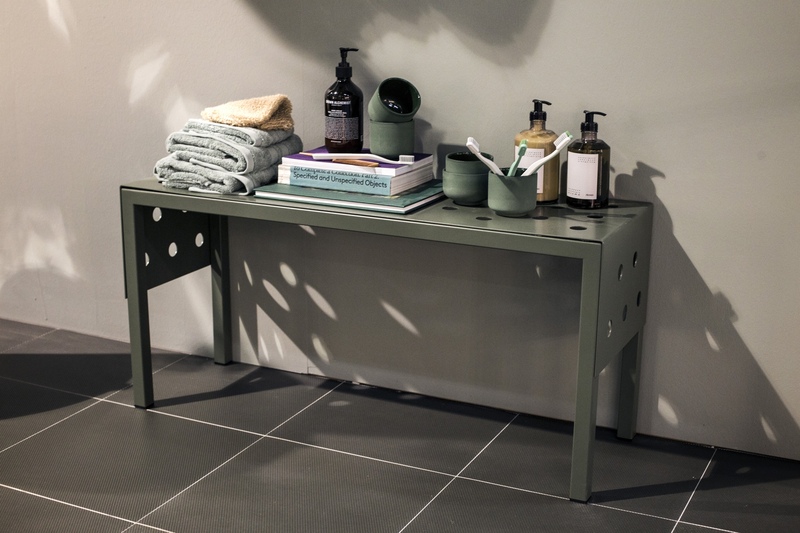 Pictured: Jade green PISU handmade ceramics from Louise Roe Copenhagen; Tann Toothbrushes designed by Andreas Engesvik for Hay. Image © Decoist. 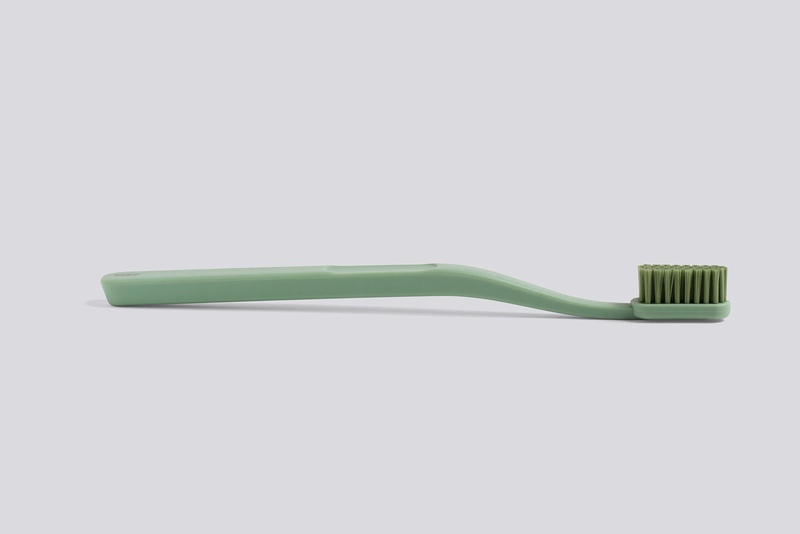 (5) A green Tann Toothbrush. Image courtesy of Hay. 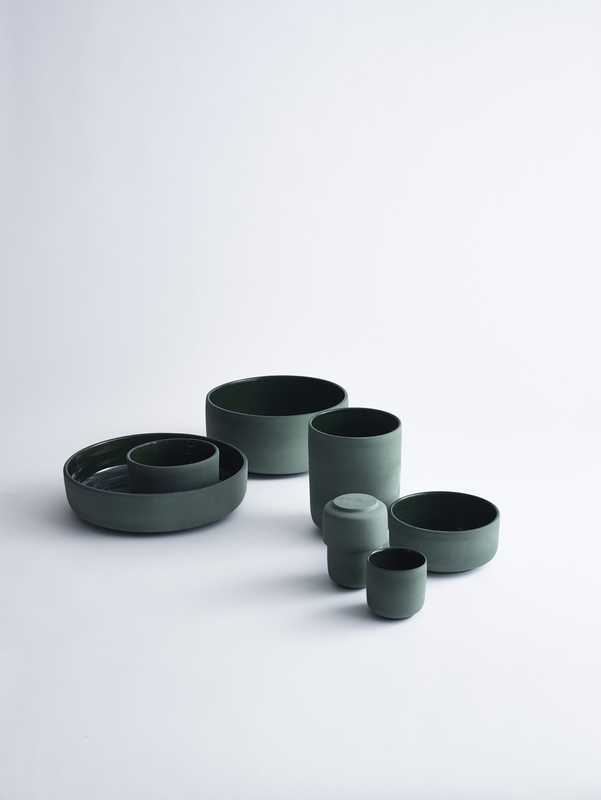 (6) PISU jade green ceramic stoneware is manufactured at Den Danske Keramikfabrik on the Danish island of Bornholm. Image © Louise Roe ApS. Opt for green glassware as an alternative to the usual clear sort. 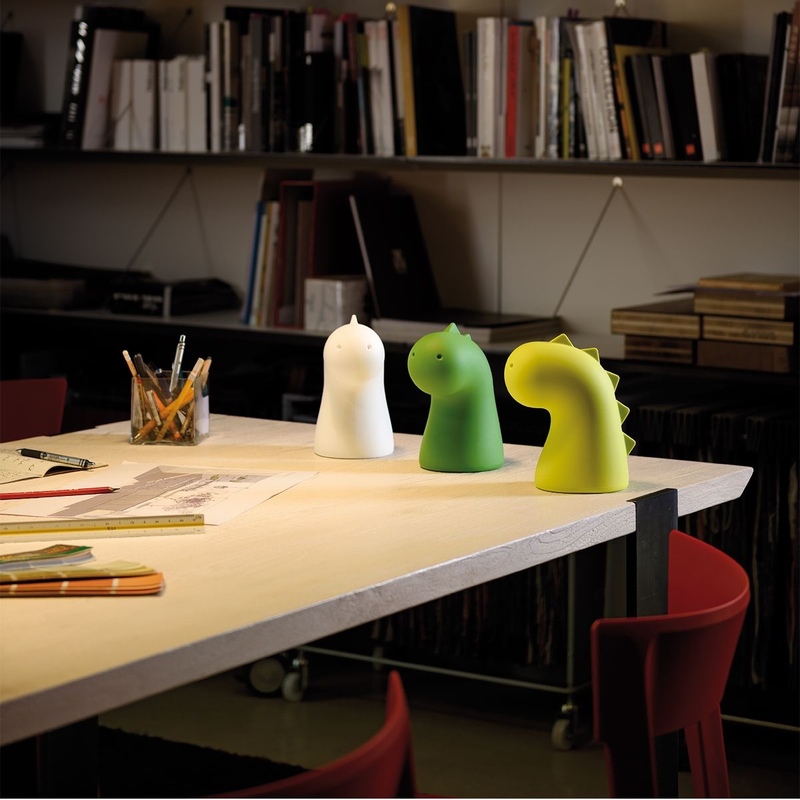 (7) Italian designer Paola Navone’s ‘Fish & Fish’ green glass tableware collection for Serax is both eye-catching and fun. Image © Decoist. 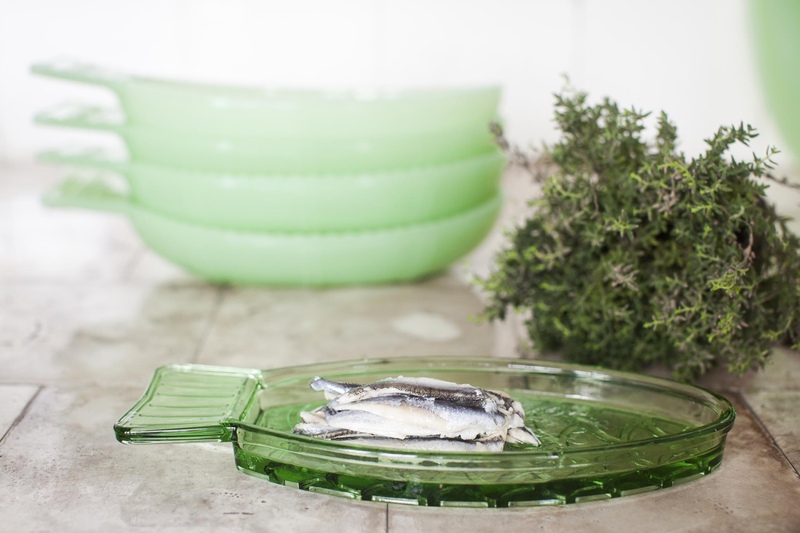 Fish dish by Paola Navone. 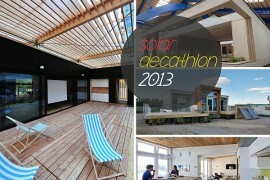 Image courtesy of Serax. 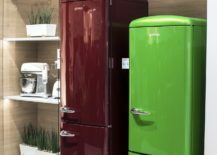 Brighten storage solutions (from containers to fridge freezers) by plumping for designs dressed in green. 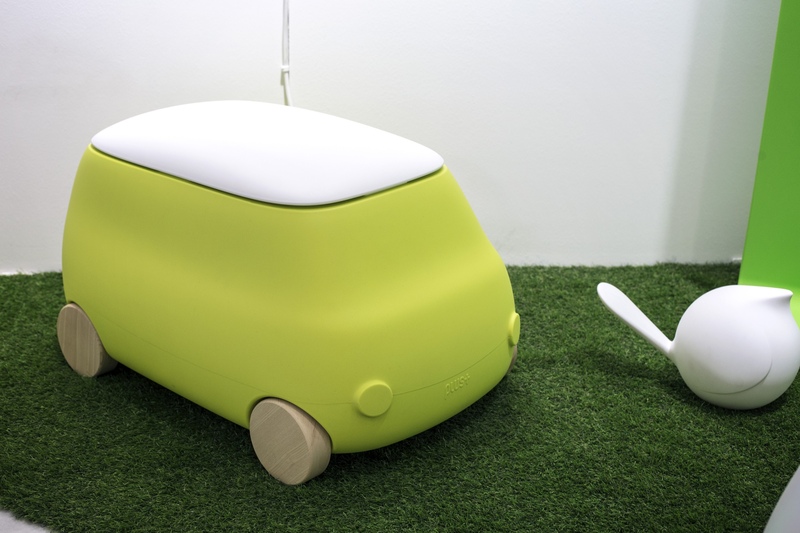 (8) The Plust Van by Plust Collection is a winsome storage box for kids of all ages. Image © Decoist. 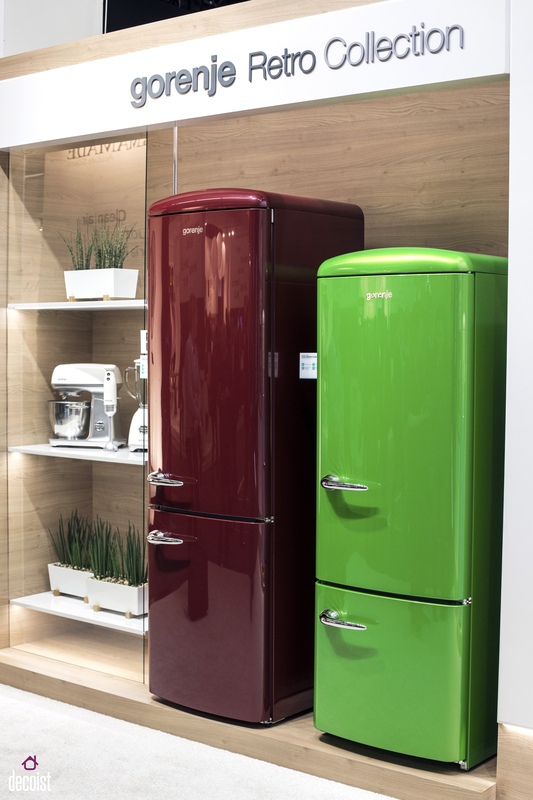 (9) Gorenje Retro Collection fridge freezer. Image © Decoist. 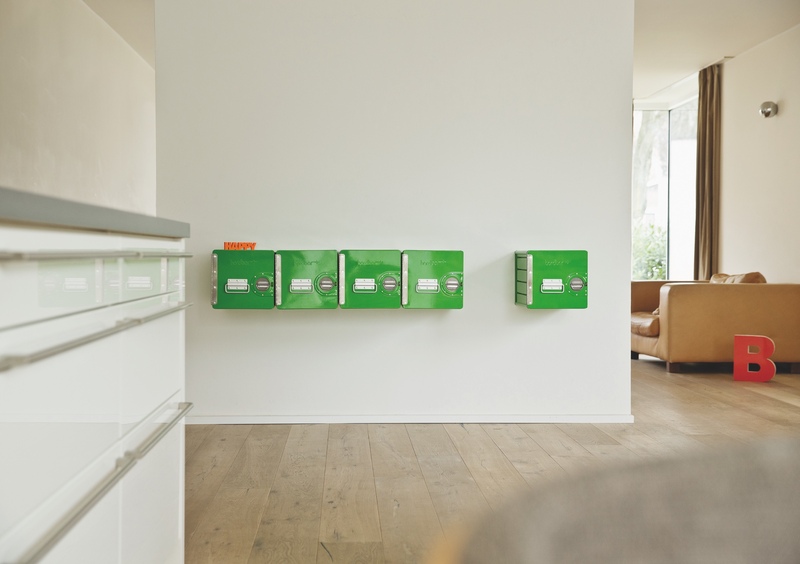 Since 2006, the Cologne-based Bordbar has transformed the notion of the airplane trolley for use in home environments. 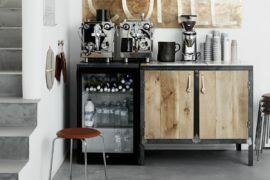 (10) The Bordbar Cube is a handsome, fresh and multifunctional hanging sideboard. Perfect on its own and in a line. Image © Bordbar. 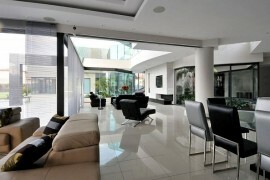 Bordbar Cube. Image © Decoist.